Statement of Rights and Responsibilities & DISCLAIMER. This Statement of Rights and Responsibilities governs our relationship with users and others who interact with THE COLLEGE CARPOOL. 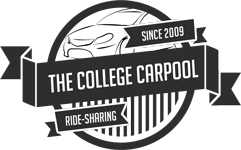 By using or accessing THE COLLEGE CARPOOL, you agree to this Statement. Privacy Your privacy is very important to us. Any information you provide to us, is solely used for your intended purposes within the website. We encourage you to only give as much information as you are comfortable giving. You will not send or otherwise post unauthorized commercial communications (such as spam) on THECOLLEGECARPOOL.com. You will not collect users’ content or information, or otherwise access THECOLLEGECARPOOL.com, using automated means (such as harvesting bots, robots, spiders, or scrapers) without our permission. You will not use THECOLLEGECARPOOL to do anything unlawful, misleading, malicious, or discriminatory. You will not do anything that could disable, overburden, or impair the proper working of THECOLLEGECARPOOL, such as a denial of service attack. You will attempt to impersonate anyone by sending/requesting information from their e-mail address, etc.